In most places, it’s been either hot or really hot for the past few weeks. And, in many places, the fishing has been hot for anglers who adapt their techniques to the hot weather. Fishing in the heat of summer is different from other seasons in some ways, but it’s also the same in a couple of ways. 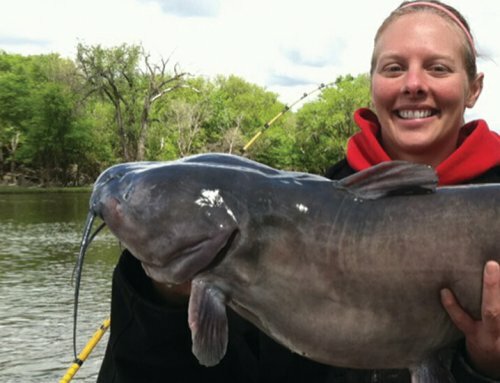 If you keep a few things in mind when you’re on the water, you can experience some outstanding fishing action. 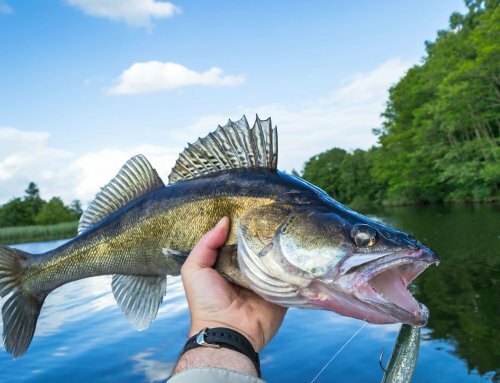 Following are some of the things you need to keep in mind if you want to catch fish during the hottest time of the year. The most important thing to remember, just like any other time of the year, is that you need to be fishing where the fish are. If your bait isn’t near a fish, you’re not going to get bit. In the summer, the predator fish will be where their food is. In some lakes the biggest bass will be in shallow water hanging out around cover. In other lakes they’ll be near deep water structure. In some lakes, the walleyes and crappies will be suspended, in other lakes they’ll be holding close to the bottom. Same thing as with the bass: They’ll be where the food is. 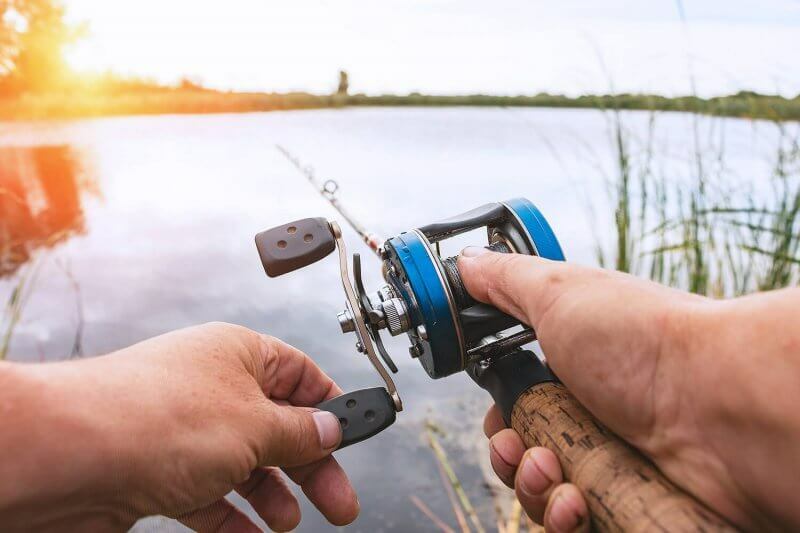 A properly tuned depth-finder is a very valuable tool anytime of the year, but in the summer, in most situations, your depth-finder will be the difference between catching fish and not catching fish. In fact, in the summer, your depth-finder becomes a fish-finder. 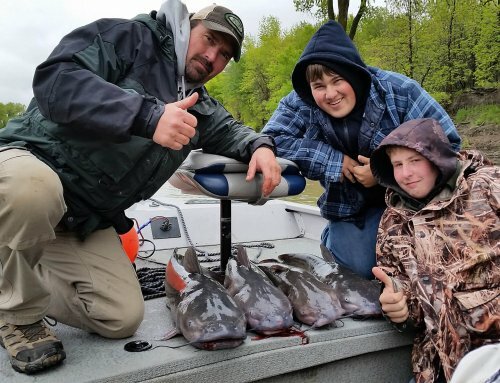 Usually, we don’t even fish a deep water spot until the sonar shows fish. The Humminbird sonar unit that I use is so revealing that I can locate a school of fish, then see my jig working through them. 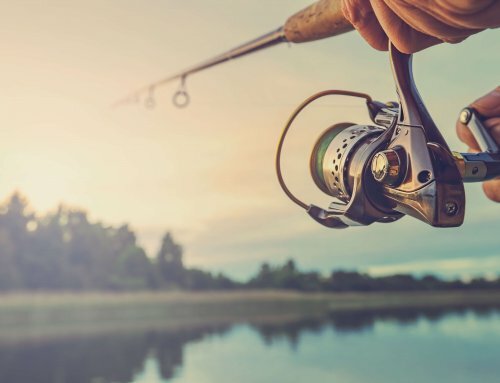 If you’re casting a weedline or some other form of structure, I like to move fast until I catch a fish, then I slow down and really work the spot. Sometimes there was just one fish there, but much of the time there will be several. 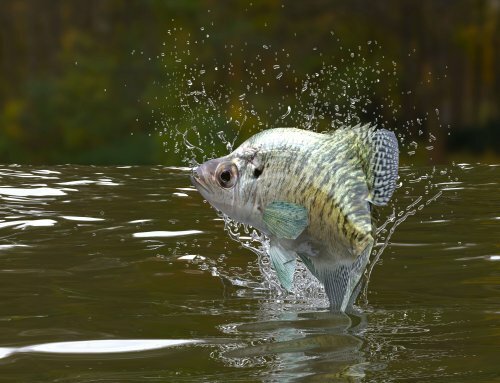 When you get on a school of fish, you’ll often be able to catch several on the bait you were using to cover water. If they slow down or quit eating, try a different bait or color or retrieve or something that gives them a different look. Often you’ll be able to get them to start biting again. When fishing gets tough, it’s hard to beat live bait. A Roach Rig tipped with a leech or nightcrawler will usually get them to eat. I almost always have a few crawlers in the cooler with my drinks and sandwiches. Frabill’s new Crawler Can takes the mess out of crawler care and keeps the crawlers fresh and lively.